KATHMANDU, Feb 20: Prime Minister Pushpa Kamal Dahal on Sunday said that lack of basic infrastructure has directly hurt development activities in the country and vowed to mobilize the private sector as an indispensable partner to bridge the infrastructure gap. Addressing the inaugural plenary of two-day 'Nepal Infrastructure Summit 2017' organized by the Confederation of Nepalese Industries (CNI) in Kathmandu, Dahal said that country's infrastructure investment needs offer huge opportunity to investors. “We have a liberal policy in foreign investment. And, we remain committed to further improving it. Our labor policy is market-friendly and cheap labor is our another asset. 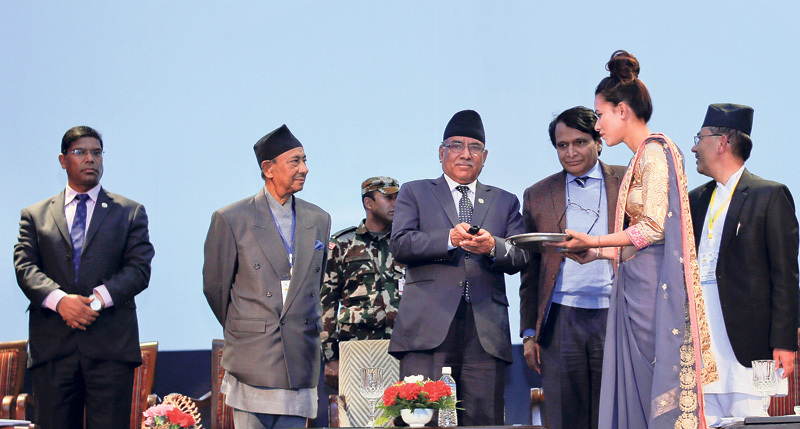 In Ease of Doing Business, we rank second among the South Asian countries,” Dahal said, urging more investment from the private sector and foreign investors. According to an estimate of the World Bank, Nepal should invest between 8 percent and 12 percent of national income in this decade to address the infrastructure gap. However, Prime Minister Dahal also admitted that there are many factors, including geography and limited capital along with the investment gap that has affected infrastructure development, forcing the country to witness average economic growth of below 4 percent over the past decade. As Nepal aspires to reach middle-income country by 2030, infrastructure development is our topmost priority, he said. “The public sector bears the responsibility to develop basic infrastructure. But that responsibility is not exclusive. Private sector is an indispensable partner in this endeavor,” he said, highlighting the government initiatives like adoption of the policy of Public-Private Partnership and streamlining of necessary acts, regulations and guidelines. He also reiterated the priority of the government for rapid and inclusive growth. “This goal cannot be realized without infrastructure development. 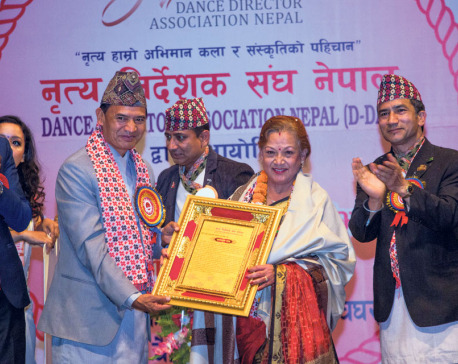 We, all political parties in Nepal, have one voice -- development agenda should remain a national priority beyond and above party interests,” he added. 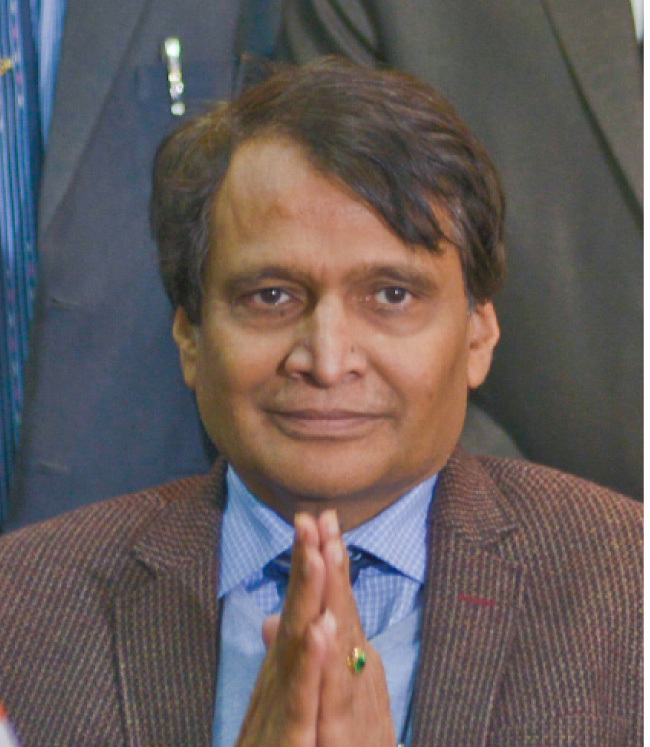 Also speaking at the inaugural session, the Union Minister of Railways of the Government of India, Suresh Prabhakar Prabhu, advised Nepal to invest at least 10 percent of its gross development product every year on infrastructure development. “If we make investment, it will create employment and demand for manufacturing products and spur growth for tomorrow,” Prabhu said. The visiting dignitary also said that India would make sure that Nepal's full potential of growth is realized by making investments needed for infrastructure development possible. He also announced that India will take into consideration connectivity with Nepal while developing and expanding railways. Wencai Zhang, vice president of the Asian Development Bank, said that while Nepal has made a remarkable progress in social development, it is lagging behind in economic development. “Much more financial resources need to be mobilized from both public and private sectors to address the infrastructure gap in the country that aims to graduate to developing countries by 2022,” he added. According to Zhang, the ADB has provided more than US$ 5 billion to Nepal in financial and technical assistance so far with 75 percent accounting for building infrastructures covering energy, drinking water and road projects. The two-day summit that kicked has brought nearly 500 participants from private sector, government and foreign companies, among other stakeholders, to discuss infrastructure issues like Public Private Partnership, value proposition and financing resilient and green infrastructure, among others. Meanwhile, India has announced that it would provide Nepal a soft loan support of $340 million. The papers for loan support that will be utilized for construction of 15 road projects and one bridge were exchanged between Indian Ambassador to Nepal, Ranjit Rae, and Dhana Bahadur Tamang, the Secretary at the Ministry for Physical Infrastructure and Transport, in the presence of Minister of Physical Infrastructure and Transport Ramesh Lekhak and Indian Railways Minister Suresh Prabhakar Prabhu on Sunday. There is a choice for investors -- whether to invest in a country which has fully developed infrastructure and country with infrastructure deficit. In the second choice, you are not only making investment not only in today's growth, but also that captures the future growth coming from there. So, these are the double benefits for investors while making investment in countries with infrastructure deficit like Nepal. Nepal is the economy where you can get maximum growth in years to come. Sometime people question the relationship between Nepal and India: Who is the elder brother and who is the younger brother? There is nothing like younger and elder brother. Nepal and India are twin brothers. We have emotional connectivity. Now, we have provided physical connectivity. So, having emotional connectivity as a beginning is better for building physical connectivity. Nepal should have a good infrastructure, good in a way which is green and which will not damage your huge natural resources. This is also a great opportunity to showcase to the world that green infrastructure can be developed in a place like this. You can have more and more rail networks. Railways are greener form of infrastructure compared to road transportation. We will also be happy to make Nepal an integral part of global supply chain as part of long term infrastructure development. Railways in India will get new investments in few years time and we will make sure that our new networks will help Nepal to be properly connected for seamless connectivity. We can also work on some other projects on benefit sharing basis. When a project is developed, it benefits the host country. It also must benefit the region as whole.